Seems a while since my last post. It’s been another busy period of adjustment, life goes on and we are rolling nicely with it at the moment. All parents need a break sometimes, with multiples this hasn’t really been possible with my wife breastfeeding and the simple fact three babies need caring for. Since the triplets arrived we have been out for dinner alone twice. Both times were memorable and needed. The girls are coming up 9 months now so have changed a great deal since we last went away for Christmas. Even then, having Stacey’s big family to help out my wife and needed to keep them to a routine. We have travelled again to Stacey’s parents for Easter. The 5 hour drive went fine without crying or dramas. The girls seem content looking out the window at the ever changing view between naps. We stopped to feed them lunch and all went well. I love those journeys as my wife and I are both relaxed and it gives us time to really catch up, evaluate and take in the life we now have. It’s been a wonderful time. 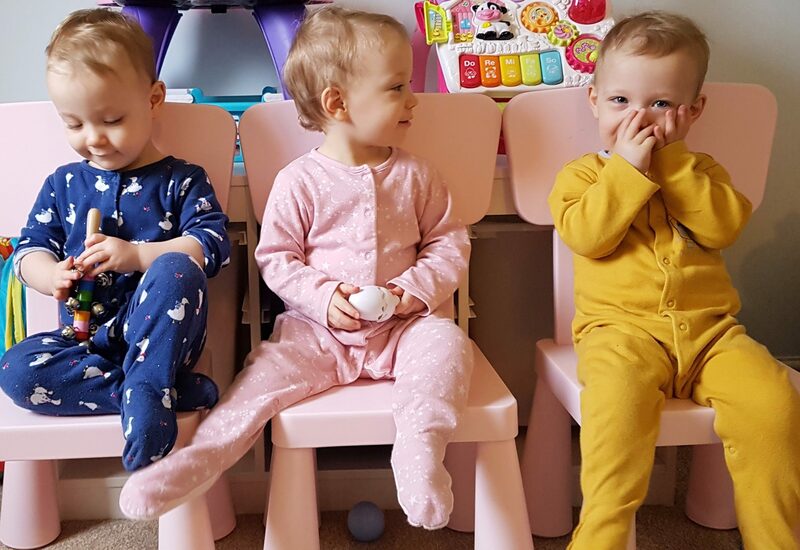 With the babies now at a stage where they are more and more interested in what’s happening around them, they have enjoyed all the family time and interacting. We are both much more relaxed letting others take over the meal times and baths. Everyone is still amazed at the calm and relaxed little personalities they all have. It’s been staying consistent with routine and keeping the home environment as stress free as possible that has added to their wellbeing. The work has payed off to this point. I have managed to rest for the first time, and even had a chance to work on my writing and the book which I hope to release next year. There needs to be more for expectant fathers out there, especially dealing with high risk multiple pregnancies and all that follows. Our lives have changed beyond anything we could have imagined. Every now and again my wife and I look at each other and just laugh at the reminder that we have triplets. I hope you are all enjoying a peaceful break where-ever you are in the world at this time. Next Next post: Why the right to comment on mental health?